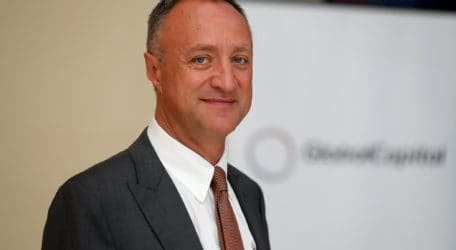 GlobalCapital to pursue blockchain technology after doubling profits ‘We have completed a remarkable turnaround of this Group over the past four years’ GlobalCapital is to press ahead with the implementation of blockchain technology following another highly successful year, Group Chairman Paolo Catalfamo today told shareholders at the company’s annual general meeting. The insurance and financial services Group reported that its pre-tax profits almost doubled in 2017, rising from €2.8 million to €4.6 million, while the its assets increased by 12.3 per cent to €127 million compared with €113m in the preceding year. Prof. Catalfamo said: “I am delighted to say we have completed a remarkable turnaround of this Group over the past four years – posting increasing profits year on year after inheriting what used to be a loss-making company. “With a strong financial base, the Group is now in a position to aggressively pursue its growth strategy and expand into the local and international markets as well as being at the forefront of exciting developments such as blockchain technology.” Shareholder funds also increased by 19 per cent, while the Group’s net asset value at the end of 2017 stood at €18m, up from €15m in 2016. GlobalCapital Health Insurance Agency, which is the exclusive agent for Bupa, also registered another profitable year. The Group’s regulated subsidiaries are GlobalCapital Life Insurance Limited, GlobalCapital Health Insurance Agency Limited and GlobalCapital Financial Management Limited.